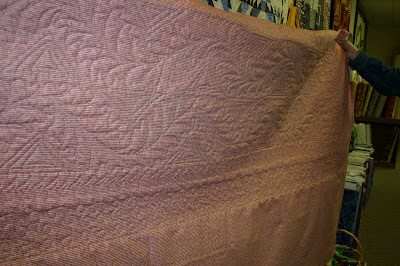 Above is one of my recent customer quilts, it's Mary's 'Walk About' quilt, made from Andover fabrics. 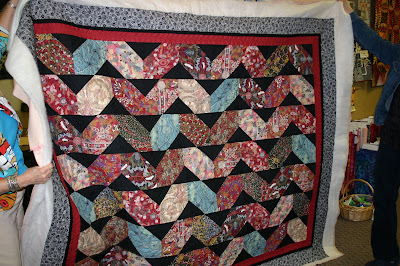 I quilted fern feathers in the printed zig zags and concentric triangles in the black triangles. In the red sashing I did a freehand pineapple and loopy meander in the B&W border.